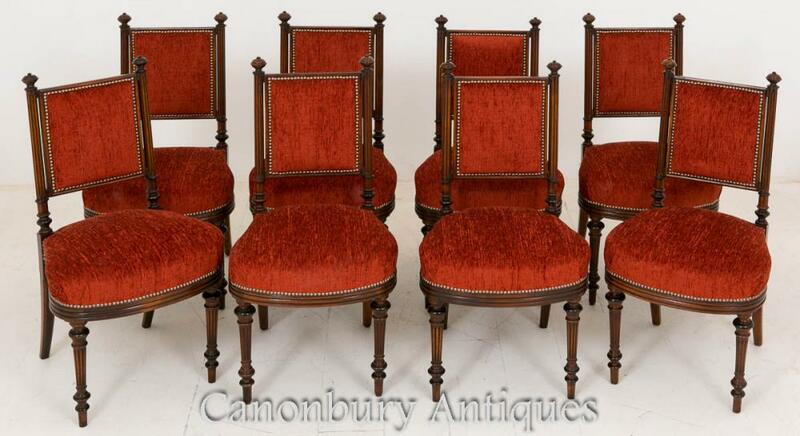 Superb Set of William IV style Mahogany Chairs. Standing on turned fluted legs with ebonised rings. Featuring a good size stuff over seat and padded back rests. The whole being finished with brass studs. These chairs have recently been refurbished to a very high standard and are in excellent condition.